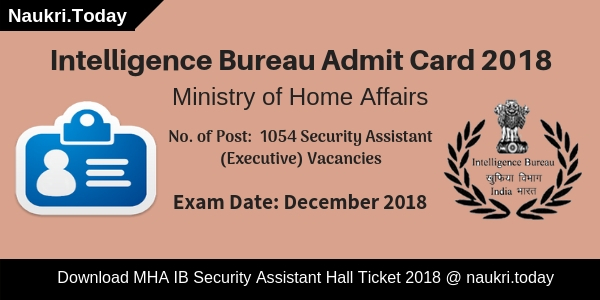 MHA IB Admit Card 2018 -19– Ministry of Home Affair is going to conduct written examination for 1054 Security Assistant Posts. Candidates who are participating in the examination may download IB Hall Ticket 2018 from here. A written examination will take place tentatively in December 2018. The Department will select applicants in three stages such as Tire I, Tire II, & Tire III. Candidates can download their Intelligence Bureau Call Letter by Name wise as well as by Registration Number. It is very important to document as per exam point of view. Read below article for further more details regarding MHA IB Examination 2018. What Are The Important Dates For MHA IB Exam 2018? When will MHA IB Admit Card 2017 Available, Date of Intelligence Bureau ACIO Exam ? How I Check Selection Criteria, Exam Pattern for Intelligence Bureau ACIO Examination ? How I Get My MHA IB Admit Card 2017, Intelligence Bureau ACIO Examination Center ? Fresh Update as on 08.02.2019: Hello friends, Intelligence Bureau has released MHA IB Admit Card 2019 for Security Assistant Exam. The Examination will be held on 17.02.2019. Candidates who do not download their MHA IB Hall Ticket till now are adive to download as soon as possible. 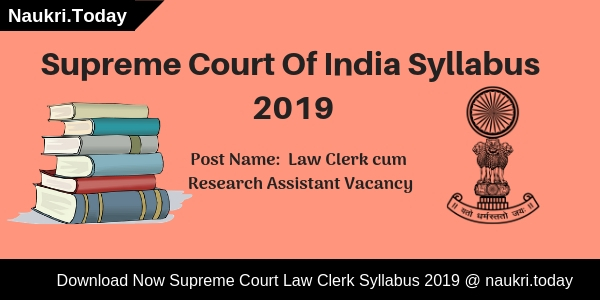 Here we provided you links to download MHA IB Security Assistant Call Letter 2019. Fresh Update as on 02.02.2019: Dear Aspirants, Intelligence Bureau is going to conduct written examination for Security Assistant Posts on 17.02.2019. the Department has already released MHA IB Admit Card 2019. Participants who do not download their MHA IB Hall Ticket till now may download form links given below. Aspiarnst must carry it to the examination hall. Fresh Update as on 24.01.2019: Dear Aspirants, Intelligence Bureau is going to conduct written examination for Security Assistant Posts. The Examination is going to hel don 17.02.2019. The Department will issue MHA IB Admit Card 2019 from links given here. Fresh Update as on 08.01.2019: Participants may download Intelligence Bureau Admit Card 2019 from here. The Department has issued MHA IB Admit Card at the official website. Downloading Links will be open form 08.01.2019 to 12.01.2019. MHA IB Security Assistant Exam Date is printed on the IB Hall Ticket 2019. Fresh Update as on 01.01.2019: Hello Friends, Intelligence Bureau Admit Card 2019 will issued by the Department before an examination. Participants may download their MHA IB Hall Ticket 2019 from here. The Department will announce the exam date shortly. Fresh Update as on 27.12.2018: Intelligence Bureau will conduct written examination for Security Assistant Posts. Candidates may download their MHA IB Admit Card 2018 from here. The Department will announce the exam date shortly. Applicants should stay connected with us for more updates. Fresh Update as on 24.12.2018: MHA IB Department will organize written examination for Security Assistant Posts. Candidates may download their MHA IB Admit Card 2018 from here. The Department will announce Exam Date shortly. Participants should stay in touch with us for more latest updates. Ministry of Home Affairs will conduct written examination for appointing candidates on 1054 Security Assistant Posts. Candidates who are interested they register online for IB Security Assistant Exam 2018. Online Registration was started from 20.10.2018. The Last Date to apply online for IB Jobs is 10.11.2018. Candidates who fill up application form for Security Assistant examination may download MHA IB Hall Ticket from here. A written examination will take place tentatively in December 2018. Here we provided you links to download MHA IB Call Letter 2018. Candidates can download their Intelligence Bureau Admit Card by Name Wise as well as by ID Password. The Department will select applicants in three Tires for Security Assistant Posts. The Department will select candidates on the basis of three stages such as Tire I, Tire II, and Tire III. Candidates firstly appear for Tire I which is written examination. Participants who qualify in written examination will appear in Tire II and Tire III. Merit List of Selected candidates should be created on the basis of all three Tires marks. MHA IB Admit Card is one the important document which is required to get enter in the examination hall. Without IB Hall Ticket 2018, the examiner will not permit you to sit in the examination hall. A lot of important details mention in Intelligence Bureau Call Letter 2018 such as candidates name, etc. The Department will release MHA IB Hall Ticket 2018 before one week of examination. Participants can download it by Name wise and ID Password. Here we gave ya ou list of Details mention on MHA IB Security Assistant Call Latter 2018. Exam Date or Timings, etc. Candidates do not forget to carry some other important documents at the exam center. Important Documents such as ID Proof are required to check the identity of applicants. Participants may also carry one copy of id proof and passport size photo. Aspirants should check here List of ID Proof that you can carry at the exam center. Candidates who are going to participate in IB Security Assistant Examination may download call letter from here. Here we provide you easy steps to download MHA IB Admit Card 2018. Participants should log on to official website i.e mha.gov.in. Now search for Admit Card section at Homepage. After that enter your Name or ID Password. Now you MHA IB Admit Card will appear on your Computer Screen. Check details mention in IB Hall Ticket is correct or not. Participants Must carry it to the exam hall. Conclusion: Ministry of Home Affair has released notification for 1054 Security Assistant Vacancies. The Department will organized written examination for security assistant post. Here we gave you links to download MHA IB Admit Card 2018. If you are Looking for ACIO Exam Date & Want to know releasing date of MHA IB Admit Card 2017, then in this article you can get full information about Intelligence Bureau Examination. Applicants, Ministry of Home Affairs is going to organize Tier – I written examination for 1300 ACIO Vacancy under IB Department. Department will conduct examination on 15th October 2017. All the applicants who have applied online form should download your IB ACIO Admit Card 2017 before examination date. Link for Downloading Intelligence Bureau Call Letter will available 15 days before examination. Here we are providing direct link to print Exam Call letter which is mention below. MHA IB Department has released Notification of 1300 ACIO Vacancy. After completion of Online Registration, Written Examination is going to organize in the month of October 2017. Applicants are advise to start your preparation by using Proper IB Syllabus & Download your Intelligence Bureau Admit Card from here before the exam date. To get more information about How To get MHA IB Admit Card, Exam Schedule etc. all details is mention in below article. Ministry of Home Affairs has published a recruitment notification of 13300 ACIO Vacancy under Intelligence Bureau Department. Submission of Online application for IB Recruitment started from 12.08.2017. Closing date of filling online form was 02.09.2017. After that department has extended the date of applying form till 10th September 2017. Recently the online registration process has closed, huge no. of applicants has filled online form for ACIO Vacancies. Now the Organization is going to organize Tier 1 Examination in the middle of the Month of October 2017. Appliers are advise to download your MHA IB Admit Card 2017 before the examination date. You can download your Intelligence Bureau Admit Card from here by using your ID & Password. More information about IB ACIO Call letter, Exam Pattern etc. you can check by reading of the below article. Selection of the applicants of Intelligence Bureau Vacancy will based on Written examination & Personal Interview. Exam will divided into Tier 1 & 2 Examination. Final Merit list will prepare on the marks obtain in Exam & Interview. 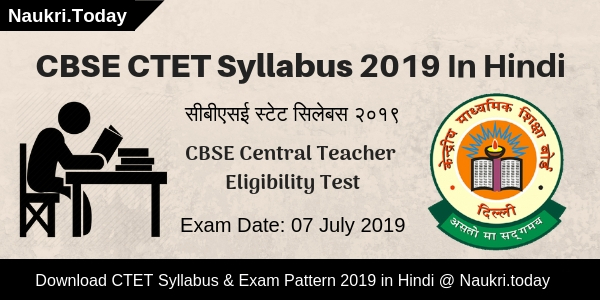 If you want to check Exam Pattern then read the below section & Also check IB Syllabus for better exam Preparation from here. 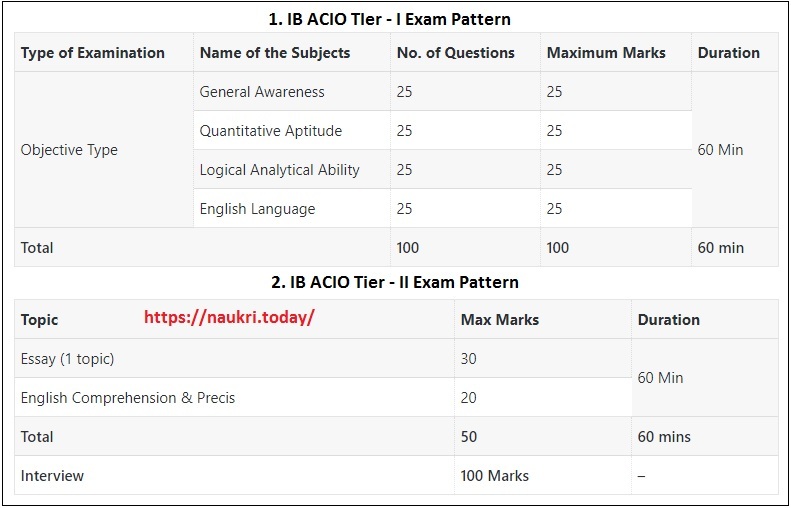 All the eligible candidates for IB ACIO Exam will firstly call for Tier I Examination. Exam will contain 100 Question of total 100 Marks. Total Time Duration of Exam will be 60 Minutes. Candidates must get minimum passing marks for qualifying the examination. Selected candidates will call for Tier II Examination. Tier II Will contain question of total 50 Marks. Pattern of Examination for Tier I & II Is shown in above diagram. Final selection made after Interview round which is of total 100 marks. Applicants who are looking for IB ACIO Admit Card 2017 are inform that the Department will issued Intelligence Bureau Admit Card on official website 10 days before examination. After releasing of MHA Admit Card on official website, we are providing direct link to print exam call letter. By using registration ID & Password you can easily download your IB Hall Ticket 2017 from here. Candidates are advise check the given below information after Downloading mha.nic.in Hall Ticket. date & Time of Exam etc. Department will conduct Intelligence Bureau ACIO Examination in all over India. Exam will held on Various 33 Cities which is mention here. Appliers can check full details about Examination center by using IB Admit Card 2017. All information about Venue of Exam will described in IB ACIO Admit Card 2017. Those candidates who want to download IB ACIO Admit Card 2017 should follow the given below steps. By using f these steps you can easily get your Intelligence Bureau Exam Admit Card. First read all steps then click on IB Hall Ticker Download Link. Applicants log on to the official website www.mha.nic.in. Now check News Section & Click on download IB ACIO Hall Ticket Link. Fill all information in form properly like Reg. ID & DOB/ Password. Now a new window will open & your MHA Intelligence Bureau Admit card shown on screen. Check All details Save it for future use. Conclusion : MHA IB Admit Card 2017 for 1300 ACIO vacancies. Candidates can download your IB Intelligence Officer Admit Card from here before examination date. Keep in touch with this page for more updates.